Ennio Morricone’s intense score to director Giuseppe Tornatore’s autobiographical epic. 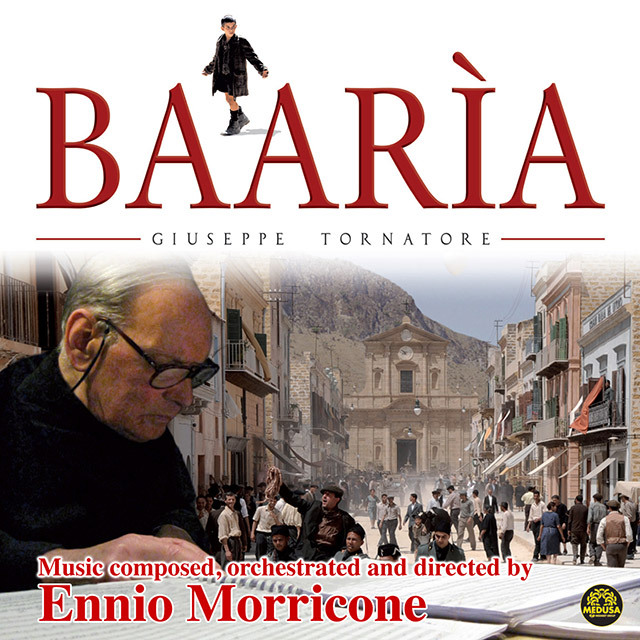 Darker and sadder than Morricone’s recent work, the soundtrack for Tornatore’s Baaria is the maestro’s first feature film work in five years. Morricone comments on his work: “Despite loving the film very much, I believe I didn’t go overboard this time. I didn’t shoot all the artillery toward the sky I believe, except in some moments”. Composing a great number of scores, Morricone is perhaps most famous for his cult scores for Sergio Leone’s 1960s ‘Dollars’ trilogy and Once Upon A Time In America, and Brian De Palma’s The Untouchables. This is the eighth score Ennio Morricone composed for a Tornatore film. Since his work on Tornatore’s Oscar Winning Cinema Paradiso in 1989, Morricone has scored all his subsequent films. Tornatore says: “I know that Ennio will give me every fibre of his musical sensibility and I know that his soundtrack will be extraordinary. I am certain of this before the project has begun”.